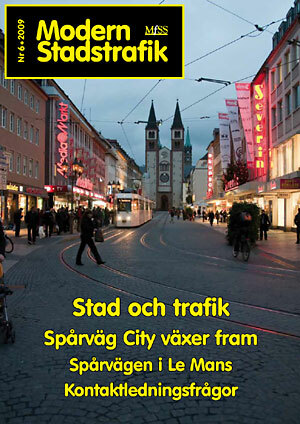 MfSS (Meddelanden från Svenska Spårvägssällskapet – Messages from the Swedish Tramway Society), with Modern Stadstrafik (Modern Urban Transport), is Sweden’s leading tramway magazine, with articles from all over the world about urban transport, particularly tramways. The magazine published its first issue in 1959. 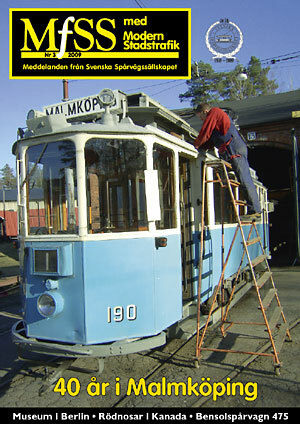 It is Svenska Spårvägssällskapet’s official magazine, publishing six issues per year. The articles are written by the Society’s own members and by leading authors within the industry, which guarantees a high level of expertise! Modern Stadstrafik is independent of industry organizations. Its purpose is to regularly and systematically report on developments, trends and tendencies within the public transport field, in Sweden and abroad. It is intended to serve as a source of knowledge and as support for decision-makers in the industry and to promote public transport. Particular attention is paid to producing well-edited text, and on photos and illustrations of very high quality in four-color. High print quality maintains the initial good impression during the following perusal of the text and images. Read more at the web site Modern Stadstrafik (only in Swedish). MfSS with Modern Stadstrafik is included with membership in Svenska Spårvägssällskapet. Companies and other interested parties can subscribe to Modern Stadstrafik separately. A separate subscription without membership costs SEK 500 within Sweden, SEK 600 outside Sweden. The best way to assure yourself of your copy of MfSS is to become a member of Svenska Spårvägssällskapet by completing our membership form.